It’s Memorial Day weekend, and in the South, that means it is time for Bar-B-Q! Just in time for the season, Al.com has decided to launch a search for the best bar-b-q pork sandwich in Alabama. They first opened up comments on an announcement post, and counted the frequency of mentions of various bar-b-q spots. The task was daunting, so they broke it up into regions and allowed voting for the best in each area. 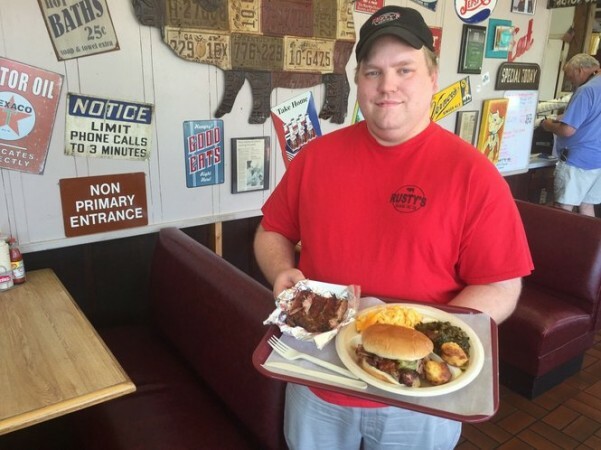 Writers from Alabama Media Group have been dispatched to the top restaurants in each area to learn more about the delicious pork sandwiches their fans rave about in each place. 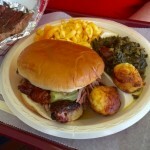 We are humbled that the readers of Al.com count our pork sandwich among the best in the land. We are pleased to announce that AL.com put together this slide show article to talk more about Rusty’s Bar-B-Q. This will allow folks who may not have met us yet to have the chance to know a little bit more about our food and our family. Speaking of family, if you’re feeding a crowd this long weekend, please give us a call to get your take-out order ready. You can order our famous pulled pork or chicken by the pound. Take it with you to enjoy at the lake or the pool. Our menu can be found here. Finally, while we all enjoy our Bar-B-Q, we pause to think about the reason for Memorial Day itself. With gratitude, we remember all those who have lost their lives fighting on our country’s behalf. We do not take our freedoms lightly.